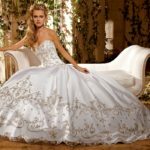 Celebrity Wedding Dresses Ideas – Most girls spend countless hours dreaming of their perfect wedding, and the dress is the focal point of that fantasy. Even Hollywood’s elite falls prey to the allure of tulle, lace and pearls! 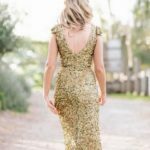 Unlike most of us, however, those celebs are lucky enough to have access to some of the best designers in the world who can turn all of their elaborate ideas into an elegant reality. What does that look like? Check out our nine favourite celebrity wedding dress, and you’ll get a pretty good idea of what money can buy.